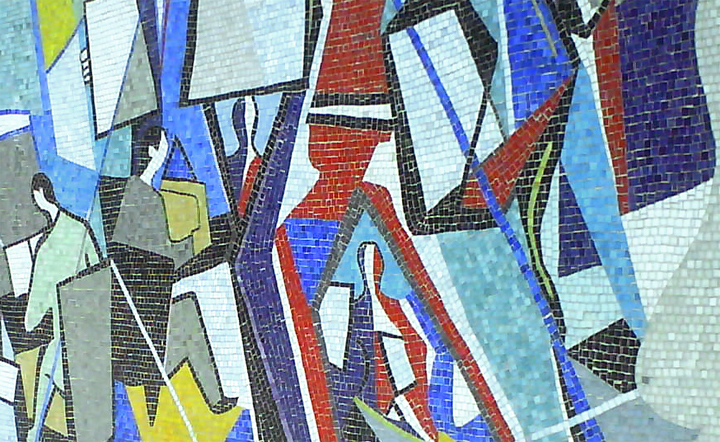 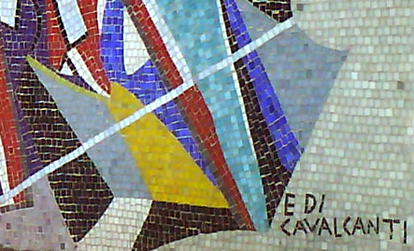 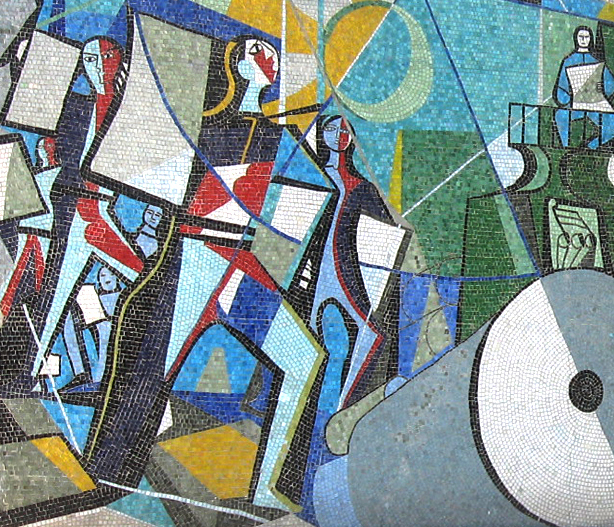 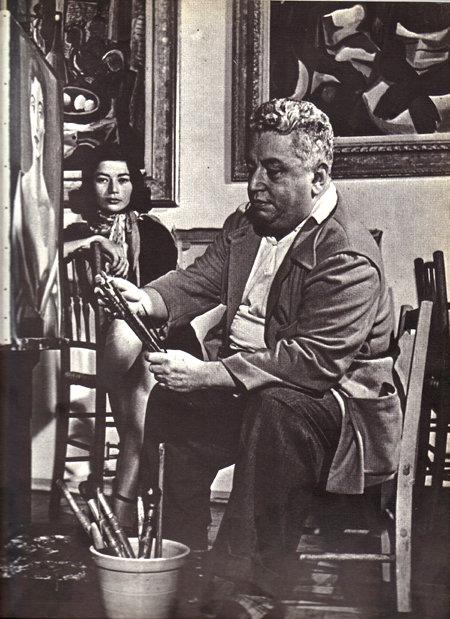 Brazilian artist Emiliano Di Cavalcanti (1897-1976) completed the mosaic mural titled Imprensa (Press) in 1954. 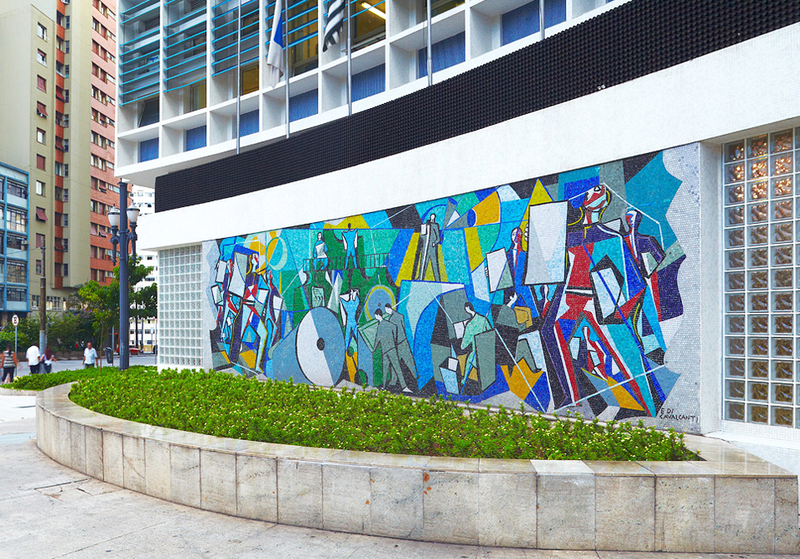 It is located in São Paulo, Brazil on the exterior of what used to be the headquarters for the newspaper, O Estado de São Paulo, hence the mosaic's subject matter. 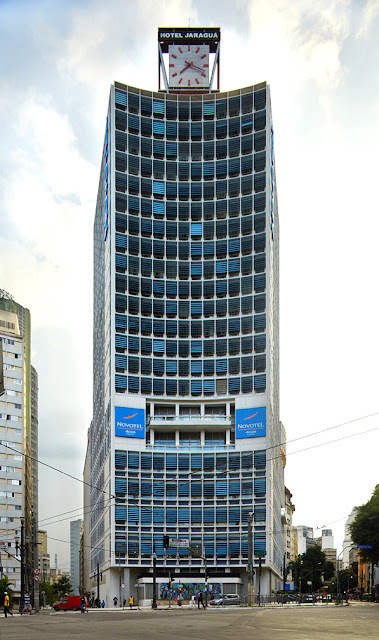 The building has since become the Novetel Jaraguá Hotel. The building was designed by Adolf Franz Heep and Jacques Pilon in 1948 and was completed along with Di Cavalcanti's mosaic for the structure's official inauguration on January 25, 1954.